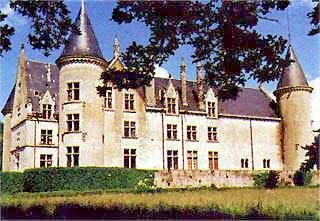 Completed in 1379 by Marguerite de Beaujeu, it is set in beautiful grounds laid about by Alphand in the small hidden valley of the Serain that was praised by Lamartine. It achieved a new reputation of great "elegance" during the romantic period. the Rabutin family, Saint Chantal and her grand daughter, madame de Sévigné lived here. Bourbilly has been owned by the same family ssince 1813.